ITS Enterprise Applications has launched another round of “Most” Lunches to recognize hands-on users of ConnectCarolina and to learn from attendees what works and what can be improved in the ConnectCarolina system. The monthly lunches also enable peer-to-peer sharing of tips and tricks. Frances Dykstra, Assistant Vice Chancellor for Enterprise Applications, kicked off the series of “Most” Lunches on January 26 by recognizing campus employees who entered the highest number of campus journals within ConnectCarolina during fiscal year 2016-2017. A campus journal, by the way, is a transaction that lets campus staff move one funding source to another. 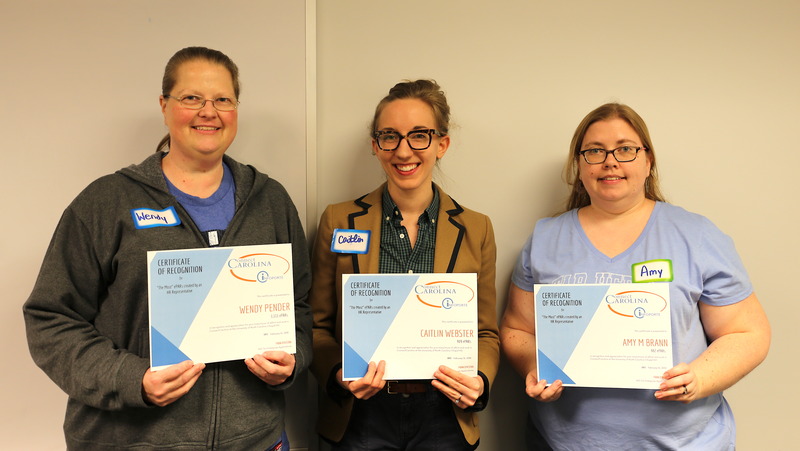 At the February 16 lunch, Enterprise Applications honored human resources representatives who entered the highest number of HR actions into ConnectCarolina. These “Most” Lunches celebrate ConnectCarolina users who enter the most of a specific type of transaction over a 12-month period. Enterprise Applications will alternate topics and groups of ConnectCarolina users — from Student Administration, Human Resources/Payroll, Reporting, Finance and University Services, said Anita Collins, Change Management Manager with Enterprise Applications. Over sandwiches brought in from some nearby eatery, Dykstra and a few Enterprise Applications team members gather with the recognized invitees in a University meeting room. They talk specifics about particular ConnectCarolina tools or functionality: do the users have the options they need; is the language clear; are the steps logical? What could Enterprise Applications improve upon to better enable users’ work? What’s on their wish list for future enhancements? As an additional benefit of the “Most” Lunches, the participants also share with one another tips and tricks for using a particular tool or recording a particular transaction, said Ellen Paulter, Change Management Specialist with Enterprise Applications. The gathering also serves as a mini awards ceremony. Dykstra calls out each invitee individually by name and number of transactions. Each comes to the front of the room to receive his or her certificate of accomplishment and to receive Dykstra’s thanks and a warm handshake. With each name and tally announced, anticipation builds as users wait to hear who will earn top bragging rights. 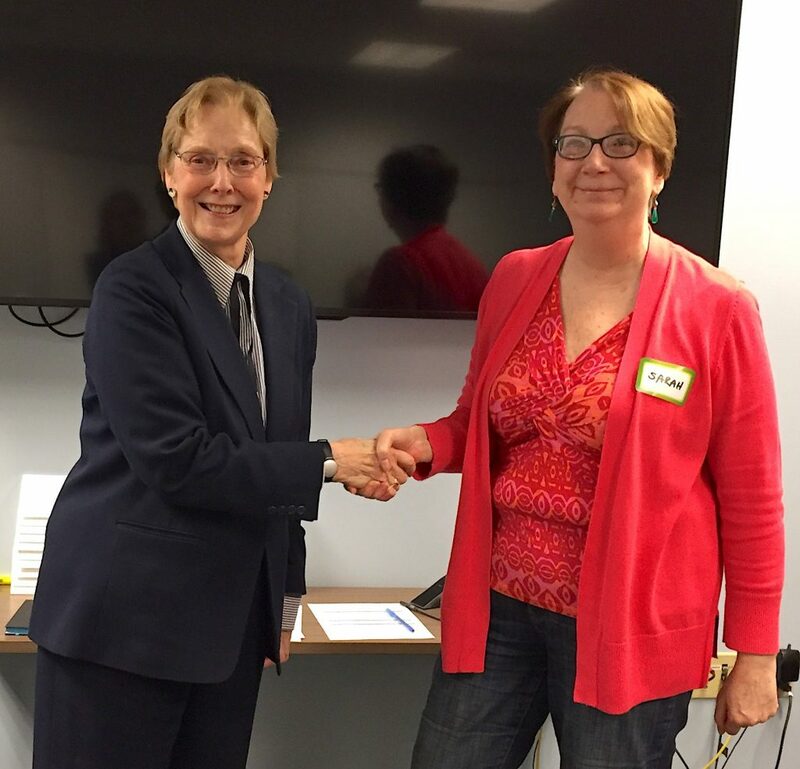 For the most campus journals, the ConnectCarolina user with the highest number of transactions was Sarah Eileen Derber, of Campus Health Administration, with 1,738. Joe Ormond, HR Specialist with the Anesthesiology Department of the School of Medicine, took top honors for the most ePARs, with 1,354. 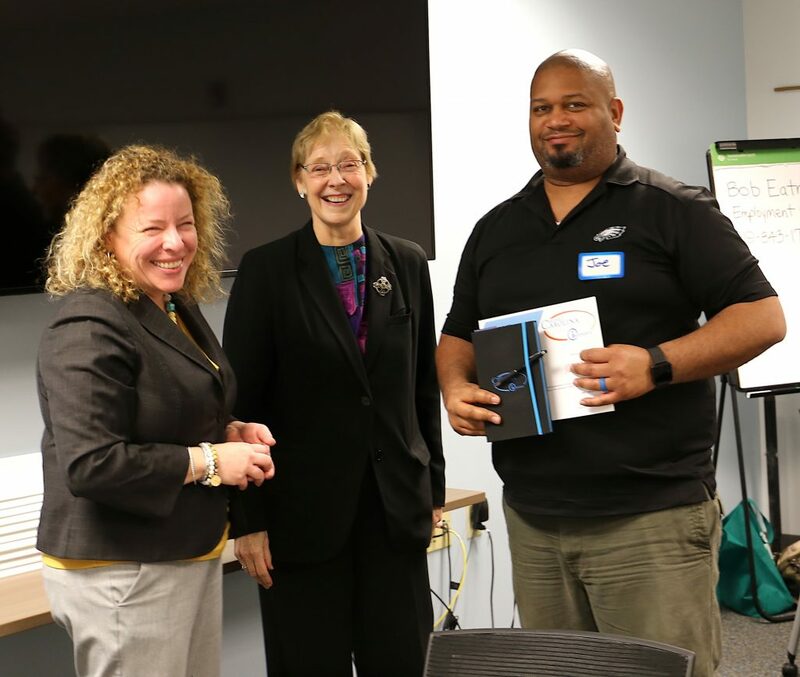 In addition to a certificate and full belly, attendees leave with ConnectCarolina swag, such as pens and notebooks. For the Enterprise Applications team, the “Most” Lunches provide direct access for an hour to the people who enter these transactions into the system, Dykstra said. Gaining these insights enables Enterprise Applications to improve ConnectCarolina and thus, better serve the University.